Santa Monica Press, 9781595800923, 312pp. 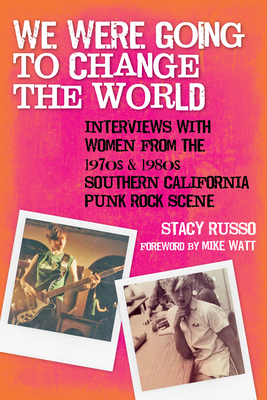 Stacy Russo grew up in the 1980s Southern California punk rock scene. She is a librarian and professor at Santa Ana College in Santa Ana, California. Stacy is the editor of Life as Activism: June Jordan's Writings from The Progressive (Litwin Books, 2014) and the author of The Library as Place in California (McFarland, 2007). Her articles, poetry, and reviews have appeared in Feminist Teacher, Feminist Collections, American Libraries, Counterpoise, Library Journal, the Chaffey Review, and Serials Review. Stacy is an active poet and writer in the independent publishing and zine community in Los Angeles and Orange County, California. Her self-published poetry zines include Poems a Librarian Wrote on Her Lunch Break and Young and Hungry in Paradise. She holds degrees from the University of California, Berkeley; Chapman University; and San Jose State University.